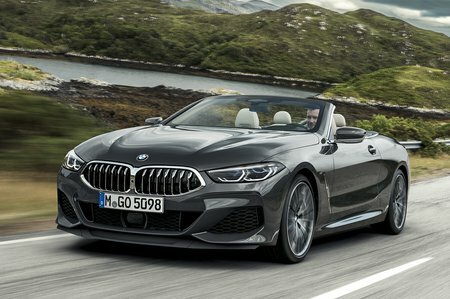 BMW 8 Series Convertible Review 2019 | What Car? What you’re looking at here is a four-wheeled foregone conclusion. At the end of the day, if you’re going to build a big, posh coupe, you might as well make a drop top version as well. 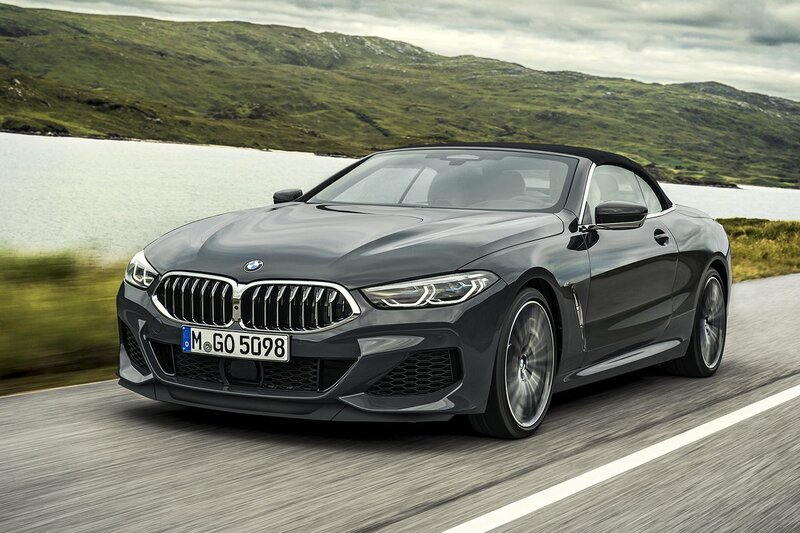 So with the predictability of bank holiday washout, we present the BMW 8 Series Convertible. Like its tin-topped sibling, you’ve a choice of six-cylinder diesel or V8 petrol engines that drive all four wheels via an eight-speed automatic gearbox. Even the meekest 8 Series Convertible can fire from 0-62mph in a rapid 5.2sec, while the V8 manages the same sprint in a mere 3.9sec. In the fullness of time, there will also be a six-cylinder petrol model and a super high-performance M8. It’s not just fast in a straight line, either. At the heart of the 8 Series is a platform that combines high-strength steel, aluminium, magnesium and carbonfibre-reinforced plastic. This makes it significantly lighter than its Mercedes S-Class Cabriolet and Bentley Continental rivals and improves structural stiffness, making it feel less wobbly over rough roads than some rivals. Capitalising on this, BMW has decided against making the 8 Series Convertible an air-sprung wafter of a convertible. Instead, every model gets conventional steel springs with adaptive dampers that can be set for comfort, sportier driving or left to adapt to your driving style. There’s also four-wheel steering to boost low-speed agility as well as high-speed stability. If that’s not enough, there’s even the option of active anti-roll bars to all-but eliminate body lean. To find out how it compares to drop-top rivals such as the Porsche 911 Cabriolet and high-spec versions of the Jaguar F-Type, keep reading for our in-depth review. Not only will we tell you what it’s like inside and what it’s like to drive, we’ll also let you know which version is best. If you do decide to buy this, or any other new car then don’t forget to check out our New Car Buying service. Not only can you avoid awkward haggling, you could save thousands on the price of your next car.